Jesus came from Galilee to John at the Jordan to be baptized by him. John tried to prevent him, saying, "I need to be baptized by you, and yet you are coming to me/" Jesus said to him in reply, "Allow it now, for thus it is fitting for us to fulfill all righteousness." Then he allowed him. After Jesus was baptized, he came up from the water and behold, the heavens were opened for him, and he saw the spirit of God descending like a dove and coming upon him. And a voice came from the heavens, saying, "This is my beloved Son, with whom I am well pleased." During the very brief Pontificate of Pope John Paul in 1978, an Irishman, Monsignor Magee, served as the Pope's personal secretary. As Papal secretaries are wont to do, the Monsignor spent much of his day with the Pontiff. Each morning, he would serve the Pope's private Mass in the Papal chapel in the Apostolic Palace in the Vatican. In a talk he gave in our diocese some years ago, Magee recounts an incident where the Holy Father said, "Monsignor, everyday now that I have been Pope, you have faithfully served Mass for me. You have never been late and your service has been impeccable. So, tomorrow, we are going to do things a little differently. You will serve my Mass as usual at 6:30 in the morning. After my Mass, we will exchange vestments and than I will serve YOUR Mass." Understandably, Magee resisted, saying he could not permit such a thing. The Pope replied, "Are you rejecting a wish of the Pope?" Magee replied, "Well, your Holiness..." The Pope answered, "Very well, then. I knew you'd agree." And Magee did. He recalls this moment with great fondness. Here was the Pope - the Vicar of Christ and the Shepherd of 1 billion Catholics acting as an altar boy for a priest - a reversal of roles. What I have just described is somewhat analogous to the scene in today's Gospel taken from St. Matthew. Incidentally, it is an event recorded in all four Gospels. We have the King of Kings, the Savior of the World asking John the Baptist for baptism. 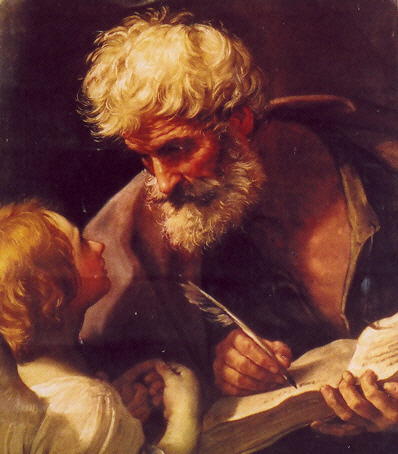 Like Monsignor Magee, we can imagine the awe of John the Baptist at the request of our Lord. Like Magee, the Baptizer resists but Jesus insists and is baptized. Jesus did not need to be baptized and yet he did so to give us an example - to show His solidarity with us, and to sanctify the waters of baptism to open up the sacrament of baptism TO US - at every baptism, the water cleanses us; at the baptism of Jesus, it is He who cleanses the water so the WE can then be baptized and made pure. Jesus raises the Baptism of John the Baptist to a sacramental reality by this event. It is THE very way to be saved and it is the gateway to all the other sacraments. 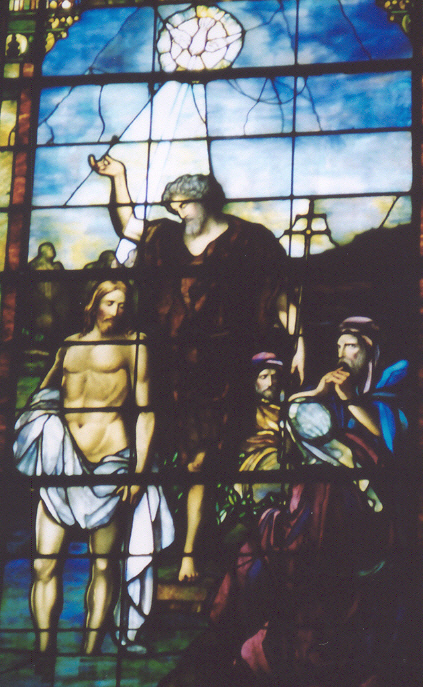 Jesus tells John the Baptist that He must be baptized in order to fulfill all righteousness. This is indicative of Jesus' TOTAL SUBMISSION to the will of the Father out of love and for the remission of our sins. Like Christ, we must enter into this mystery of humble self-abasement and repentance and go down into the water with Jesus in order to rise with Him and be born again. So, you see, being born-again is not reserved for those who claim to be born-again Christians - it is for all the baptized. In accepting baptism from John the Baptist, there is a great, great humility shown us by the Lord. Perhaps this point is demonstrated by a little aside concerning Muhammad Ali. It has lots to do with humility. Ali was on a plant with his entire entourage on his way to another title defense at some point during the height of his career. As the plane was making its way to the runway, a flight attendant asked the champ to fasten his seatbelt. Ali replied brashly, "Superman need no seatbelt." to which the flight attendant replied, "Superman need no plane either!!" Now, I am not one to lean on Muhammad Ali for quotes, but I think that the flight attendant's reply is instructive. How often is our own personal self-estimation greater than the reality of things? How often do we make ourselves out to be the greatest? In comparison to God, we are nothing. And yet - that is exactly why the Baptism of our savior in humility should overwhelm us with sentiments of gratitude and awe. The Baptism of the Lord, marks the beginning of the public ministry of Jesus. It is a second Epiphany. We have the voice of the Father and the presence of the Holy Spirit in the form of a dove. It is a significant Trinitarian moment. Most importantly, we have the revelation of Jesus as the son of the Father and therefore marks Jesus as divine, not any ordinary human being. From this moment on, Jesus is on His way to Calvary. Our liturgical calendar reflects this. This Solemnity marks the end of the Christmas Season. On Monday, we return to Ordinary Time and we will pull out the green vestments once again. In a few weeks, Lent will be here and then we begin our 40 day march to the Triduum. After the Easter Season, we return to Ordinary Time and head all the way down to Advent and then Christmas and then we do it all over again. There's a real rhythm to the Church's calendar, reflective of the life of the Lord here on earth. So, we turn our attention away from the infant Jesus and begin to focus on his public ministry which will lead to the greatest act of love ever known - the Redemption of the human race at Calvary and the Savior's subsequent victory over death on Easter Sunday. This mission that Jesus is about to embark upon is passed on to us by baptism - we each have an apostolate of prayer, service and evangelization to perform among our family members, our friends, our colleagues in the workplace and first and foremost within ourselves. We must ask how prepared are we to take up this Cross. We must ask how well we know our Catholic faith and if we have the need for more catechesis. 1. 10 minutes of Scripture and mental prayers. 2. A decade of the rosary to/from work or errands. 3. Driving without the car radio just to have some silent time with the Lord. 4. Visits to the Blessed Sacrament once or twice a week during the day. As part of your prayer apostolate, I commend to you our catechumens and candidates for reception and full communion into Holy Mother Church. They are getting very close to the end of their preparation. To be sure, it is only the beginning of their life in the Church. Baptism is the way that the Jesus Christ and His Church have determined as the ordinary method for incorporation into the life of the Trinity. It is through baptism that each of us can participate in the divine life. We become a new creation by baptism - reborn and renewed in the spirit. This is an ineffable mystery - one too difficult to completely grasp but one we can understand because Christ chose to use visible sings and symbols in the form of the sacrament of baptism to show us that we can enter into communion with Him, the Father and the Spirit. May the lives we lead reflect our baptismal dignity as Christians and may we bring that dignity home unstained on the last day.